Casa-della-maket is the Atelier Maket brand's web site which is a swiss historical figurines manufacturer. Our figurines to paint and mount are made of metal and resin. Every figurines displayed on this web site are made by our workshop and are at everytime available. The Casa della Maket company was created by Gilles Guiot in February 1988, opening a store at Locarno (Tessin-Switzerland), at the begining as reseller of prestigious brands (Métal Modeles, Pegaso Models, NCO Historex).In June 2013, this is the Atelier Maket company birth. This is at this moment that the adventure begins in collaboration with Bruno Leibovitz from the Métal Modeles company and Christian Sauve from the NCO Historex company. Atelier Maket is specialized in creating historical figurines kit 75 mm & 54mm (to mount and paint) napoleonic era and french army. A large range illustres the different aspects of the first empire characters whose the main creators are Benoit Cauchies, Antonio Zapatero, Michel Saez & Alan Ball. Other periods are also represented, especially with a dedicated range for the french army whose the main creators are Didier Dantel and Nicolas Pougis. Each creation is subject to detailed histociral research made by Jean Claude Colrat from the Briquet association. Every steps of the fabrication and the conception are entirely fulfilled at the Metal Modeles company's workshop for the metal figurine draw and at the Grx Creation and NCO Historex' company for the resin draw. They also benefit from a unique expertise. A special care is taken in designing the different parts and their fitting. Our goal is to offer to every figurines amateur, products whose the assembly and the decoration would be a true pleasure while respecting uniformology. The relation of friendliness we established over the years between figurine's amateurs and professionals, is our main source of satisfaction. Meetings, talks, competitions and now internet allow us to listen to enthusiasts to better match their expectations. 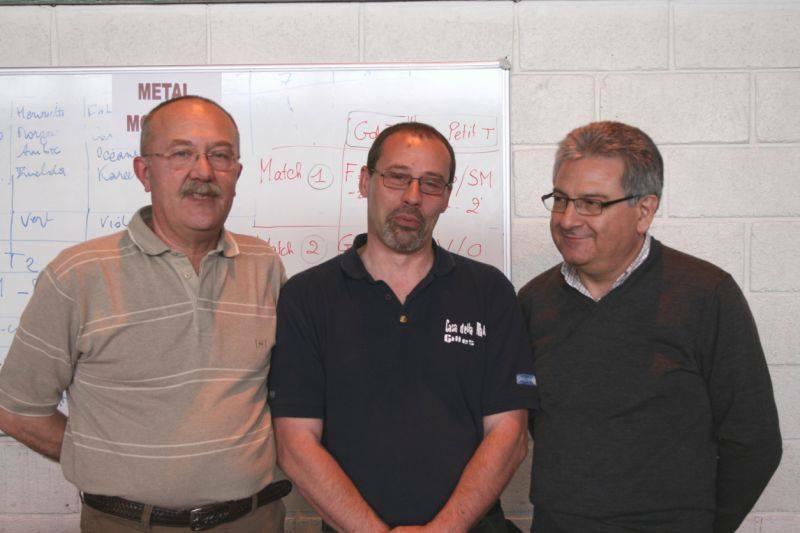 The Atelier Maket Team is composed of three persons, Stefano Bertoli for his precious help, our friend Claude Colrat for his research and historical documentation and Bruno Leibovitz for his precious advice. “I received the package today and wanted to say thank you again for the gift. The figure is lovely along with the furniture! You should be proud of this product. I really love the subject and thanks to all involved.